Angry Canadian grocery shoppers are leading a movement to boycott American-made products after President Donald Trump levied aluminum and steel tariffs on the country and threatened to impose auto tariffs on the nation, the Wall Street Journal reported. On June 1, Canada was slapped with a 25 percent tariff on steel and 10 percent tariff on aluminum. Canada retaliated on the U.S. by imposing tariffs on popular food products, including orange juice, ketchup, and yogurt. Stalled trade negotiations with Canada, Mexico, and the European Union triggered the tariffs against its trading partners. Are Canadian products available for boycotters? Canada is the U.S.’s top export market and takes in 18 percent of all U.S. goods that are sold abroad, according to the Journal. Also, experts estimate about 40 to 60 percent of all food sitting on Canadian grocery store shelves come from the U.S. which makes it makes it difficult to forgo American products altogether. “I’ll swear up and down something is 100 percent Canadian,” Beth Mouratidis of Barrie, Ontario, told the Journal. She curates a list of Canadian food and household products, along with other items. For instance, many consumers are opting for Canadian-manufactured French’s ketchup over American-made Heinz ketchup. But the U.S. and Canada also have closely linked production chains that make it more challenging to determine whether a product is American or Canadian. For example, Mouratidis told the Journal she was convinced Old Dutch chips were all-Canadian but later found out that Old Dutch Foods Ltd. is a subsidiary of Minnesota-based Old Dutch Foods Inc.
Canadian manufacturers, such as Ontario-based Kawartha Dairy Ltd., have also seen interest in their products increase in recent months. 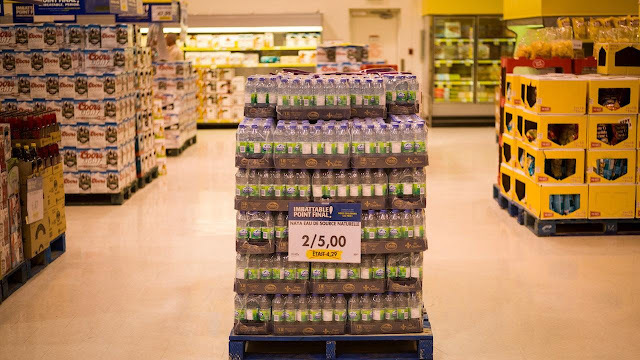 “People sort of feel that we’re getting a raw deal from the U.S. and we have to stick up for ourselves,“ Tom Legere, marketing manager at Kawartha, told the Journal. Has it impacted Canada’s economy? Exports of goods to Canada were up by nearly 4 percent in June over the same period last year, according to the U.S. Census Bureau. But when compared with the previous month on a seasonally adjusted basis they were down 1.2 percent. Canada’s non-U.S. exports increased 8.7 percent in June to a record $13.6 billion, according to Statistics Canada. However, travelers aren’t boycotting the United States. Canadian car trips across the border were up nearly 13 percent in June over last year during the same month.